Dr. David Reagan and I asked this question on our television program Christ in Prophecy of Eric Barger, the founder of an apologetics ministry called Take a Stand!. 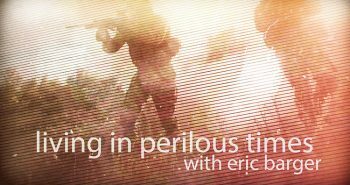 In the first segment, Eric addressed religious persecution ratcheting up in our day. Now he will define Apologetics and utilize it to debunk Islam’s fake Jesus. Nathan Jones: Eric, I hear that you go around all of the time apologizing for us Christians. Are you saying, “I’m sorry”? Why are you just so apologetic? Nathan Jones: When engaging in apologetics, the Christian is wearing the full armor of God, so to speak? We’re defending the Gospel? Eric Barger: That’s right! We’re hopefully doing so in such a way that we’re not cutting people up and beating them down. That’s not the purpose. That’s not how Christians should be practicing apologetics. Rather, we share the truth. Often times, the truth hurts. People just don’t want to hear some of these biblical defenses that cut to the heart of their disbelief and sin issues, but it’s our job to tell them the truth of the Bible. Dr. Reagan: What I hear over and over these days from many sources, including people who claim to be evangelicals, is that doctrine simply is not important. What is your response to that? Eric Barger: That statement was what the Emergent Church was built on. Of course, emergent isn’t a word this movement uses anymore, though the whole philosophy is still there. This disdain for pure doctrine has really permeated more of our once solid denominations, more than you would imagine. Some of our denominations and churches have decided that they don’t want to hear about doctrine anymore. People have heard it enough, these teachers believe, and they don’t need to hear it anymore. They believe their congregations just want to hear about life application, especially how to live a successful life. How to balance your check book. How to raise a good family. All that’s fine, but if we don’t attach the Gospel to everything we teach, have we really given our congregations anything that’s of any eternal significance? Dr. Reagan: One of the leading 2018 candidates for president of the Southern Baptist Convention wrote an article last year in which he actually said that Muslims and Christians worship the same god. Then I heard some people in the Southern Baptist Convention reply with something like, “Well, you know, he’s a young guy and he doesn’t really know his theology very well.” They were excusing this false teaching! Eric Barger: Wow and wow! Certainly, Allah is not Jehovah, and the Jesus of the Bible is not the Isa that is spoken about 97 times in the Koran. Dr. Reagan: Are there many different roads to God? Eric Barger: Let’s take Islam and apply apologetics to it. When we talk about the god of Islam in the Koran, there is no trinitarian connect to Jesus Christ, even if Jesus as Isa is spoken of 97 times. The Jesus of the Koran is never deified. He never did die on the cross. He never did pay for our sins. Rather, Isa is going to become the enforcer of Allah’s will in Islam’s version of the end times. That’s basically the way Muslims look at Jesus. Nathan Jones: Muslims expect when Jesus returns that He’s going to knock down all of the crosses and kill all of the pigs. Eric Barger: Exactly, yes. Anybody who doesn’t surrender to Mohammed’s teaching, well Isa’s going to take care of them terminally in the end. Isa’s clearly not the Jesus of the Bible. You just cannot equate Christianity and Islam. They’re diametrically opposing belief systems. And so, with all these world religions and cults, we have these misconceptions about who God really is all swirling around us. How many of the cults use the word Jesus? Or, claim they’re using the Scriptures? Or, do they ever quote from the Bible? Dr. Reagan: Or, if they do use the name of Jesus, it is a fake Jesus? It’s either a Jesus who is Michael the Archangel, or some other deity, rather than the Jesus of the Bible. Eric Barger: Exactly! There may be people claiming there are all these different paths to God, or that all paths lead to the same place, ie Heaven, but that’s not at all what the Bible teaches. Dr. Reagan: All paths do lead to the same place, but not where most people are expecting. They lead to a God who is going to finally judge them. Nathan Jones: Their refusal to accept the Jesus of the Bible and His great sacrifice for their sins will lead them all to the Great White Throne Judgment. Eric Barger: But, after that final judgment, the ending result will be everybody who has ever lived will end up in one of two places — Heaven or Hell. That’s reality. 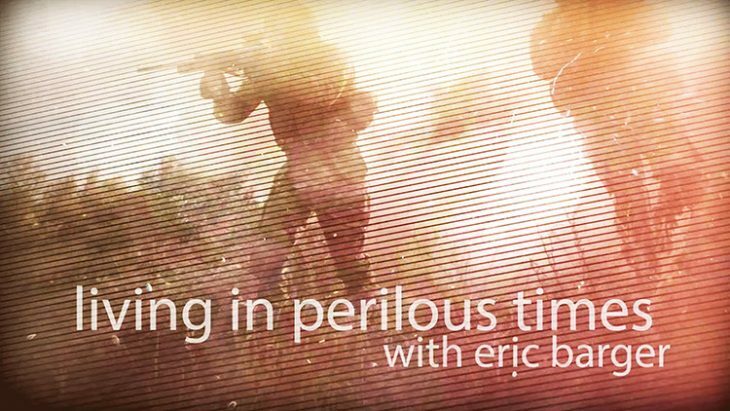 In the fourth segment of our interview with Eric Barger on perilous times, Eric explains how the prophesied evil era we not live in is leading the world to the inevitable Mystery Babylon religion. What if you have followed for so long is wrong? In the one last moment before you pass away, will you feel secure you made the right choice. I believe his answer will be no, either to himself and/or to me. I let him know about sharing the Lords word and what the bible teaches us and about what I share either falls on good soil or not. I wanted him to know a Christian must be careful what they read because Satan deceives all who step into his many traps because he sends me all these Egyptian historical belief Posts. He stated he is amazed at what Egyptian beliefs were/are and other religions have in common. I let him know that many religions globally know of a flood and a boat but have their own story about the details. So I feel he is searching. He believes our spirits/soul are reincarnated. Well we are all changed and our spirits do go somewhere but it is not into another body to try and get it right, I wrote him. Our bodies change, our spirits are raised to heaven and we are there till judgement day to be judged (in the metaphor) of Sheep or goats. Am I doing about this the proper way. I just know I do not want to turn him away and I have being very cautious here. However, everyone has their own time of reaching, of patience, of trying to understand this greater knowledge we have come to know. Through the grace of God mind you. Everything is about Jesus and our Father. I see our creator in everything. I know that nothing has been created by man that was not already placed there for us to learn. Everything. Just so you know, it is understood fully that it takes time for a seed to grow also. Hoping it is in good soil. I pray it is and I pray I am doing this properly. I AM A Baptist. I just wanted you to know this also. I let people know all this is not about religion but about faith. I also mention to get their dictionaries out and look up the word religion, then faith and to read it carefully. A few times if needed. This is a strong point for me.